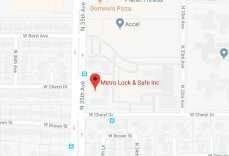 Why You Should Have A Gun Safe | Metro Lock & Safe Inc.
A trusted locksmith in Phoenix will be able to get you set up with a gun safe if you are in need of one. If you own a gun, or multiple guns, a gun safe is a necessary investment to make. A gun safe will not only keep your guns secure and protected in the event of a natural disaster or a theft, but will also keep them out of the hands of your friends and family members who may get curious about them. There are many different reasons that you should want to acquire a gun safe to keep your guns protected and out of the way. If you own a gun or multiple guns, you know that they have the potential to be very dangerous. This is especially true if the guns fall into the hands of someone without the safety training experience. That is why owning a gun safe is so important. You can keep your guns locked up when you are not using them, and also keep them in good condition knowing that they are carefully and securely stored. Talk to your locksmith for the best kind of locking mechanisms, which will give you access when you need it, but will keep the guns away from thieves, children, and others who should not handle your guns. No matter how many guns you have, you can find a safe that is big enough to hold them. If you need to store large guns inside your gun safe, talk to your locksmith about the best options you have. You also need to consider that the safe will need to be stored somewhere, which means you will have to decide on the best location for it. Either way, having a safe can free up space for your other belongings as well, since your guns will not have to be placed anywhere else. Many gun safes come with fire proof options that will keep your guns secure and intact in the event of a fire or other natural disaster. 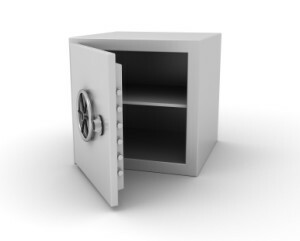 Having a gun safe with this added protection is a great way to keep your investments secure and in good shape. Invest in a gun safe and you really cannot go wrong. Your guns will be protected, and the risk of danger is greatly reduced.